Get a free quote in just 5 minutes! In a rush or not sure? 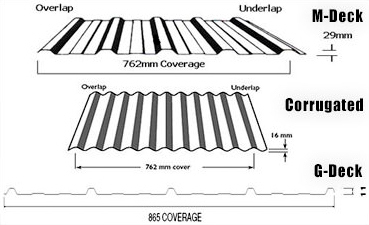 Depending on a peaked roof or flat roof, different sheeting is required. All dimensions are measured in metres. Motor Our standard Roller Doors are manually operated. Window dimensions are measured in millimetres. Personal access doors Standalone access pedestrian doors (standard size of 820mm x 2040mm). Vermin flashing A cost effective solution that surrounds the shed to prevent critters getting inside. Insulation Insulation is a great option depending on your shed use. Whirly birds Keep your shed cool this summer. Polycarbonate roofing amount A semi-transparent alternative to roof sheeting. We use the standard Colorbond colours for all aspects of our sheds and carports. An alternative option is using Zincalume which is a cost saving metallic coating. Not sure on colours? Simply leave it blank. Available services For more information on our services please contact us using our general enquiry form. Concreting options Slab and Footings information. Comments You can add further details here. You're now ready to send! Thank you for your enquiry, we will get back to you by email as quickly as possible.